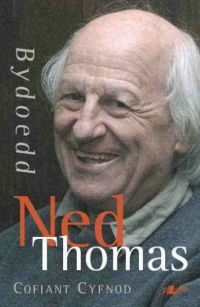 One of the most absorbing books I have read recently is Ned Thomas’ Bydoedd (Worlds). 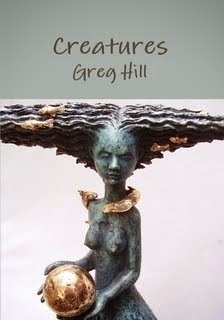 It is subtitled ‘Cofiant Cyfnod’ suggesting that it is a personal record of a period and to some extent that is true. But it is the ‘worlds’ encompassed by this record that are the subjects as much as the personal autobiography of the author. The first of these worlds is Germany immediately after the Second World War. As a young boy Ned Thomas went there with his family because his father was part of the British legal establishment involved in the de-nazification process. The view one gets of Germany at this time is through the eyes of a child for whom the world is just coming into sharp focus, reinforced by later research to fill in the inevitable gaps in a child’s knowledge. It is a vivid account of a particular place at a particular time that has now passed. Receiving his early education in Germany and Switzlerland, before returning to complete it in Wales, he then learned Russian as part of his compulsory army service before going on to Oxford for his degree. In the 1980’s I wrote an article for the Canadian magazine Ariel suggesting that Ned Thomas had brought to Wales an internationalist perspective having, in addition to his childhood in Germany, held teaching post in universities at Salamanca and Moscow. I made the statement as one of bare fact in order to go on to discuss his contribution to Welsh life via the editorship of the magazine Planet (‘The Welsh Internationalist’) and his ‘journey’ as a literary critic which took him from writing in English about George Orwell to writing in Welsh about Waldo Williams. In between these he, among other things, published a book entitled The Welsh Extremist, a work designed to present contemporary Welsh-language authors to English-speaking readers. He describes this work, in retrospect, as a ‘social event’ rather than the work of an individual. During this period I had known him personally both as a tutor in the English Department of Aberystwyth University and because I contributed to Planet both under his editorship and under subsequent editors. He went on to become the head of University of Wales Press and then to attempt the setting up of Y Byd , a daily Welsh-language newspaper, before politicians withdrew expected funding support. So the events related in the latter chapters of the book are familiar in that I witnessed some of them directly and was a distant spectator to many others. But, even so, I eagerly followed his direct and personal narrative accounts of the way worlds are constructed – whether in post-war Germany, Fascist Spain, Soviet Russia, bureaucratic London or, more recently, concerning the identity of Wales as a nation at the end of the 20th century and into the 21st. All this is conveyed in fascinating detail infused with a humanity that brings the reader close both to the narrator and the ethos of the worlds he narrates. Other events chronicled in these last chapters include his protest at a television transmitter which he turned off, together with two other respectable figures, in support of the campaign for a Welsh-language television channel, the establishment of the Mercator project on minority languages in Europe and some fascinating encounters across the continent as a result of this. And it goes on. The final sentence of the book follows an imagined transformation of Aberystwyth Prom at night into a beach in Donostia. But reflects, finally, that tomorrow it will be in Wales, and it will be a new day. Adolygiad da, diolch am rannu. Edrych ymlaen at ddarllen y llyfr hefyd. Rhaid i fi brynu hyn, wi'n meddwl. Diolch am yr adolygiad!